When the Spaniards entered Guatemala they soon realized that unlike the Aztecs or the Incas, the Mayans were not a single nation, and there was no empire governed by a supreme ruler. Instead, they were forced to defeat one city-state after another. Probably, the most organized of these city-states were the Quiche Mayans, and the Quiche put up the greatest resistance against Pedro de Alvarado and his men. Historians believe that the more powerful Mayan city-states demanded tribute from the smaller centers. This type of control was maintained by both military superiority and diplomacy. Skirmishes and raids occurred constantly. These were touched off by disputes over land, the need for more sacrificial victims, and feuds between the chiefs of rivaling cities. War was considered a ritualistic activity, and the warriors sought the support of the appropriate gods during ceremonies that were accompanied with elaborate pageantry. Frescoes in Bonampak depict warriors dressed in elaborate feather headdresses, jade ornaments, and dressed in jaguar-skin capes. They were attended by servants who held feathered parasols over their heads. This tell us that great warriors were greatly respected in the Mayan world. Spanish chroniclers tells us that they encountered Mayan warriors whose bodies were painted red and black. When they attacked they beat drums, blew conch horns, whistled, and yelled. The warriors were dressed in lavish costumes, with their helmets adorned plumes of feathers. Weapons during the Classic Period were limited to flint or obsidian tipped spears, flint knives, wood clubs, and shields. 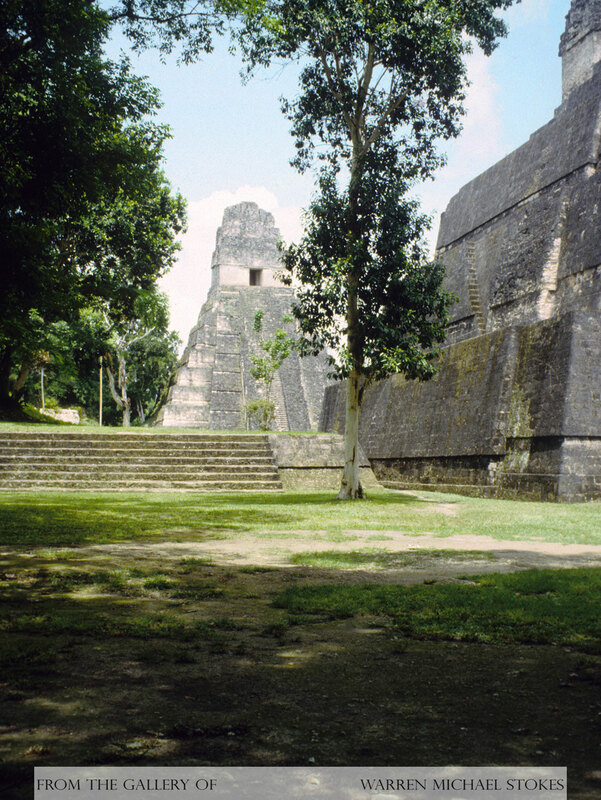 Then as the size of their empire expanded the Maya started borrowing ideas from their neighboring Mexican cultures. They began using the atlatls or spear-thrower, slings, two-handed swords, and eventually the bow and arrow. Military tactics were usually ambushes, or frontal assaults. If you captured or killed an officer on the opposing side you were greatly honored, but if the Mayan commander was killed or wounded the Mayan warriors retreated. Also, they didn't fight after nightfall. Special scouts called zabin (road weasels) were used to secure information regarding the enemies defenses. The captains of the Mayan military were called nacoms. Nacoms served three years. They were known for there feats on the battlefield. Diego de Landa tells us that victorious warriors severed off the lower jaw from the dead enemy soldiers, skinned them, and wore them adorned on their arms. However, the primary goal was to capture instead of kill the enemy. High ranking officers and nobles were especially desired. The elite were usually sacrificed, while the commoners were enslaved.